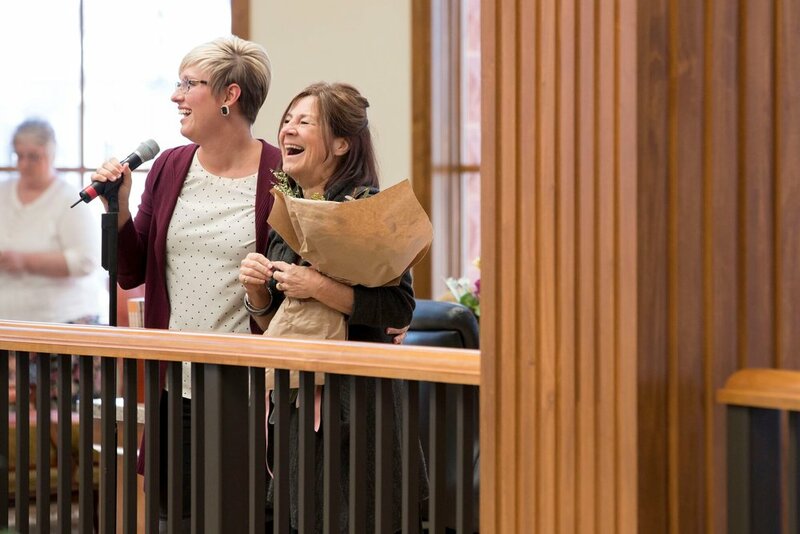 Janet Wakeland and her husband Doug received a warm welcome this week from the home office to celebrate her one-million milestone. Janet thought she knew what to expect because she’d seen other demonstrators’ videos, but she explained that there is no way to image how it feels until you experience it! Janet’s customized day included a business video, a watercolor class, and working on a stamp set. 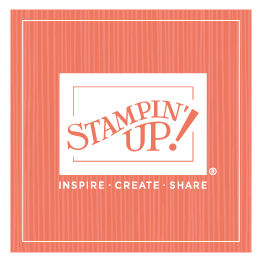 Doug went on a tour of Stampin’ Up! and met with product team members (since his career has been in paper). It was a busy day with lunch (demonstrator support agents joined them) and snacks at every turn, which explains why Janet and Doug didn’t eat nearly as much as Sara, Sean, Sterling and me at dinner later that evening! When I asked Janet and Doug what their favorite part of the day was, they both had multiple answers. Hopefully their expectations were met and that Janet felt loved and appreciated! I loved laughing and visiting at dinner with people I’ve known for years but hadn't had the chance to visit with in such an intimate setting. 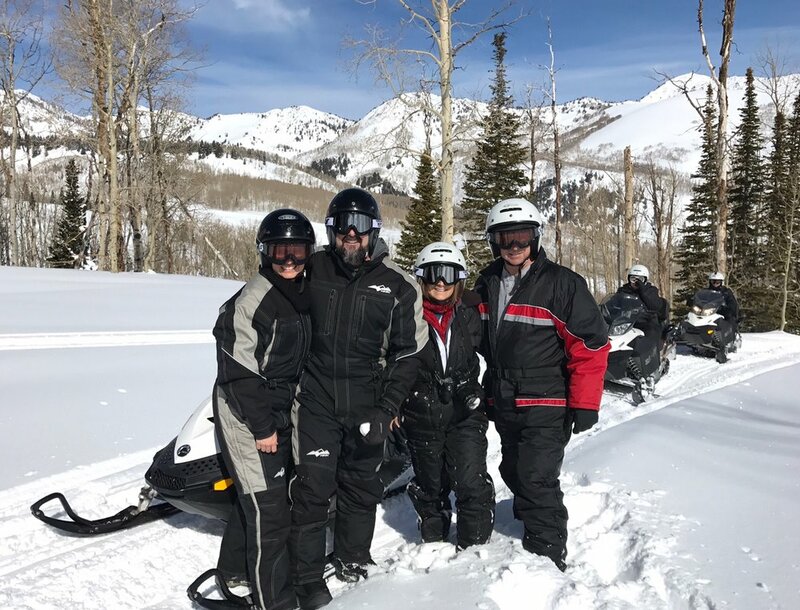 The next day Janet and Doug met up with Sara and Sean for a snowmobiling adventure (because that’s Janet...adventure!) in beautiful and rural Midway, Utah. 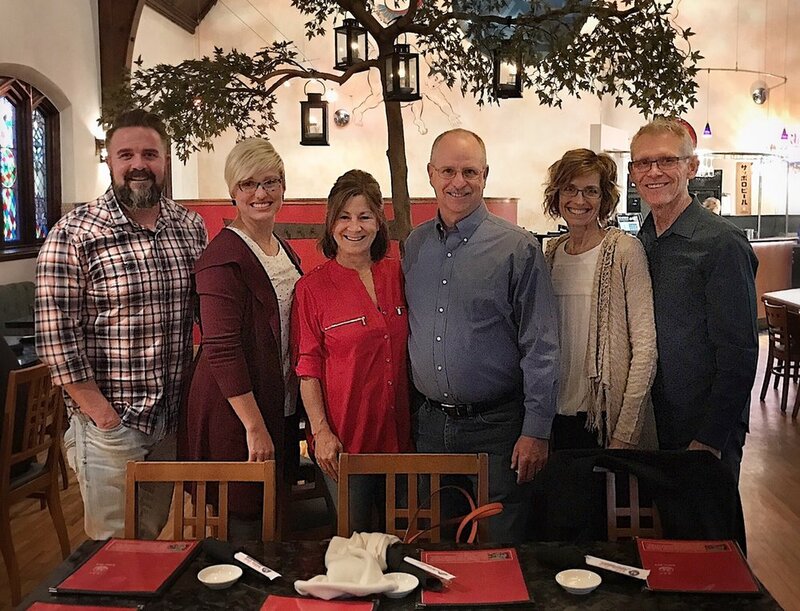 The Wakelands had dinner with corporate team members that night, and spent an extra day on their own before returning home. Thanks, Janet, for your dedication and hard work in achieving this milestone of a lifetime. Congratulations!